I was in charge of building the fully-functioning prototype of the redesigned K12 High School interface for their LMS. Working with other designers, project managers, and directors we worked through several design and functionality options before the end result. It was crucial that the prototype display actual content accurately. Content for K12 courses are built with Polymer web components. This example shows a text annotation component I built that allowed the student to click on highlighted words for more information. 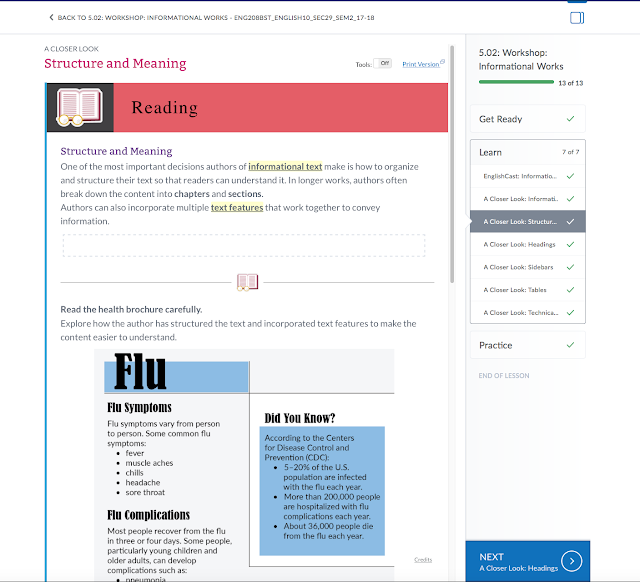 These components are populated with JSON created by K12's content authoring tool. This makes it easy for any designer to create assets with little coding knowledge.